A journalist is missing. Now museums with cozy ties to Saudi Arabia are soul-searching. For years, nonprofits from museums to major universities have been strengthening ties with the oil kingdoms of the Middle East as a way to broaden their offerings, foster cross-cultural dialogue and to obtain access to those countries’ considerable riches. On Saturday, the Brooklyn Museum opened an exhibition of art and artifacts from Syria meant to recount the country’s refugee history. Days later, the Guggenheim will host a conversation with a Palestinian artist, and the Metropolitan Museum of Art will hold a seminar on how museums curate art from the Middle East. These programs — along with similar ones at the Museum of Modern Art, Asia Society and other New York institutions — are part of a coordinated effort to display artwork from the Middle East and “build greater understanding between the United States and the Arab world.” They also happen to be coordinated by organizations closely tied to or generously funded by the Saudi government, which is accused of the gruesome killing of a dissident journalist. Now they are having to answer the same question as the one confronting the U.S. government: Whether the possible slaying of the journalist Jamal Khashoggi is a reason to shun Saudi Arabia, or if the country is simply too wealthy and important to walk away from? On Friday, one organization involved in coordinating the New York exhibits, the Middle East Institute, a Washington, D.C.-based think tank, said it no longer wanted to be party to them. Most of the organizations said they intended to proceed with their plans, or were evaluating their relationships. And since Saudi Arabia’s record on human rights has never been a secret, it would likely surprise no one if the museums ultimately decided not to back away. But the ties between nonprofit institutions and the oil kingdoms are extensive and growing. American universities have thrown open their doors to wealthy Saudi students who pay full price. Among them is Harvard, which Crown Prince Mohammed bin Salman visited this year during his whirlwind tour of the United States. In 2005, it accepted $20 million from another member of the Saudi royal family, Prince Alwaleed bin Talal, who was detained at the Ritz Carlton in Riyadh this year as part of what the crown prince called a crackdown on corruption. The Clinton Foundation has accepted at least $10 million from the Saudi government for its global anti-poverty work, which raised questions of possible influence peddling during Hillary Clinton’s presidential campaign. The sticky relationships are not limited to Saudi Arabia. New York University and the Louvre have opulent outposts in Abu Dhabi, in the United Arab Emirates, where labor abuse has been endemic. The embrace has been mutual, as Saudi Arabia, Qatar and the Emirates have all used their wealth to strengthen friendships with the West and establish themselves as major players in academia and culture. Stephen Stapleton, a London-based artist who runs Edge of Arabia, one of the organizations coordinating the New York exhibits and which is partially funded by the Saudi government and its state-run oil company, said: “We’re all really shocked” by the accusation of murder. Stapleton declined to say whether the Khashoggi episode — Turkey says it has evidence he was killed and dismembered, which the Saudi government denies — would make the group rethink its funding stream. “We are not going to shy away from the fact that we raise money for our projects from everywhere we can, but of course, this current story makes you take a step back, obviously, which is what everybody seems to be doing,” he said. One of the newest Saudi efforts is the Misk Foundation, which the crown prince has used as a vehicle to spread Saudi culture and advance his self-styled image as a reformer open to more freedom of expression, including in the arts. In the past year alone its affiliated Misk Art Institute, which did not respond to requests for comment, has organized shows in the United States, announced plans to open an outpost in Paris and helped coordinate the New York City exhibits this month. MoMA, which is participating in this month’s “Arab Art and Education Initiative,” said it had not accepted any money for its portion of the program. 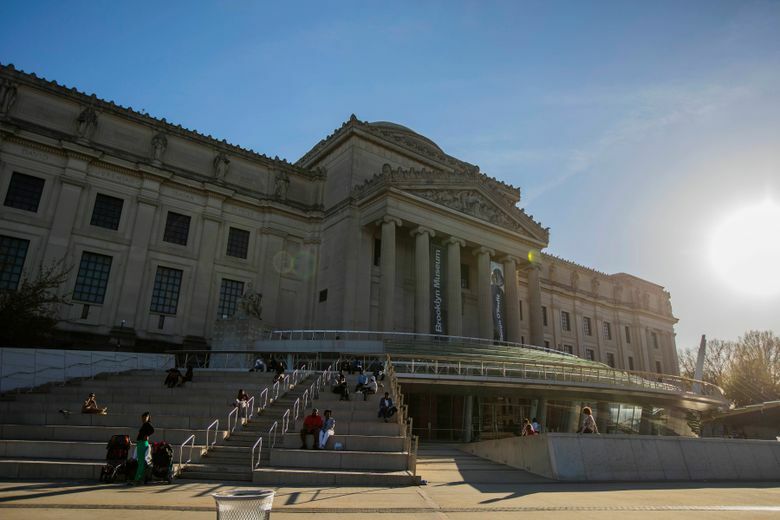 Other museums involved in the program, including the Brooklyn Museum and the Guggenheim — which has faced protests over its plans to build a satellite museum in Abu Dhabi — also said they had no intention of dropping out. In their responses, they made a case for maintaining relationships with the Middle East, an important source of historical and contemporary art, while acknowledging the difficult circumstances they now found themselves in.